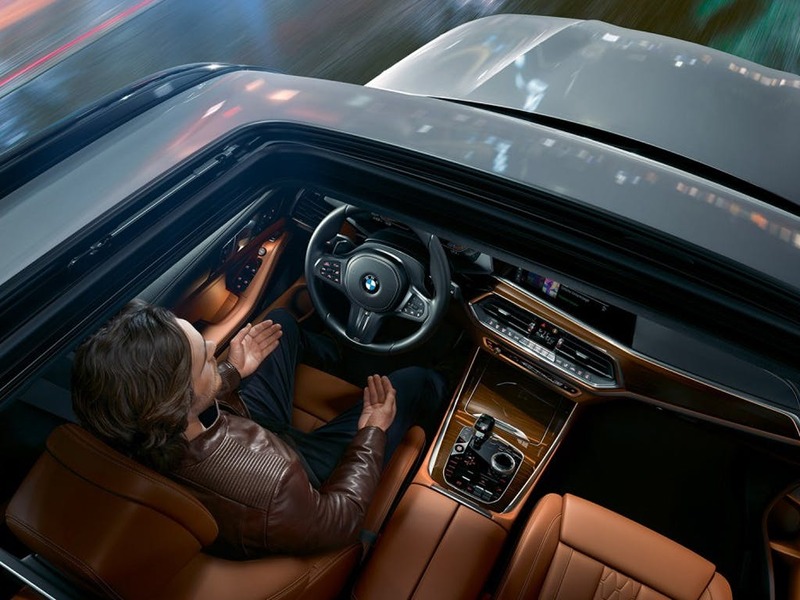 Redefine luxury with the BMW X5. 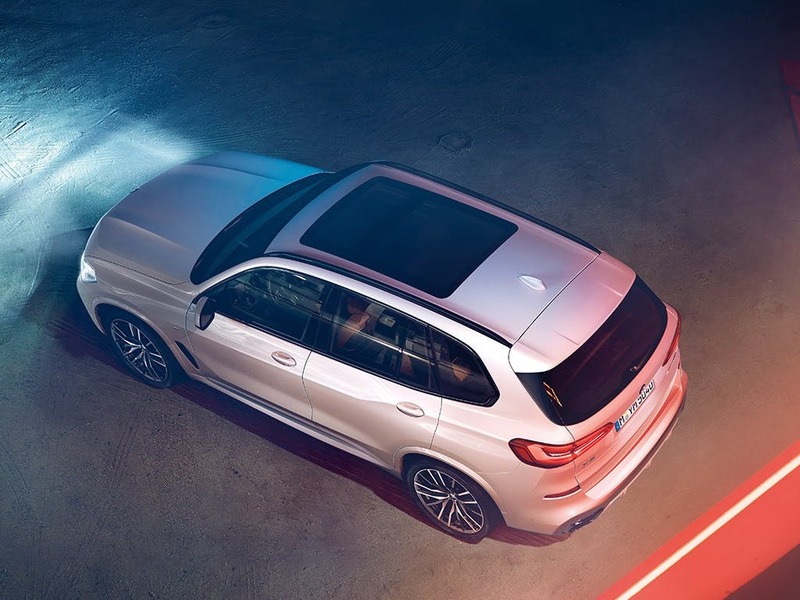 With smart digital enhancements, new lecels of luxury, connectivity and performance, the X5 was rebuilt from scratch for your satisfaction. Visit your nearest dealership Bedfordshire, Cambridgeshire, East Sussex, Hampshire, Hertfordshire and London for more information. 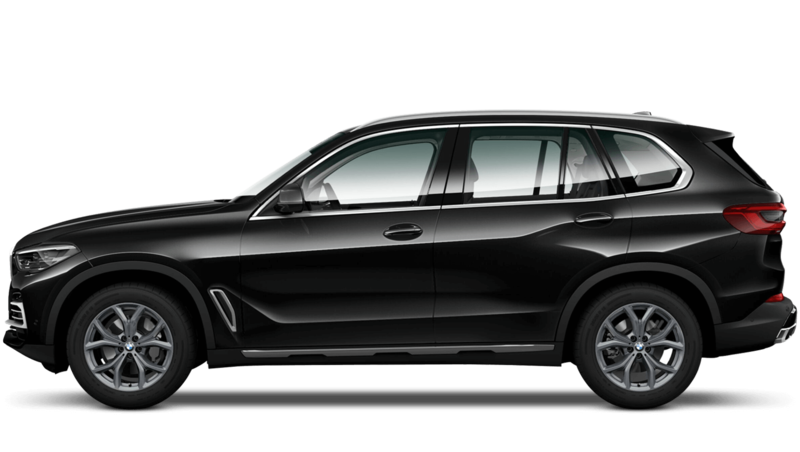 Discover all the latest BMW X5 offers currently available. 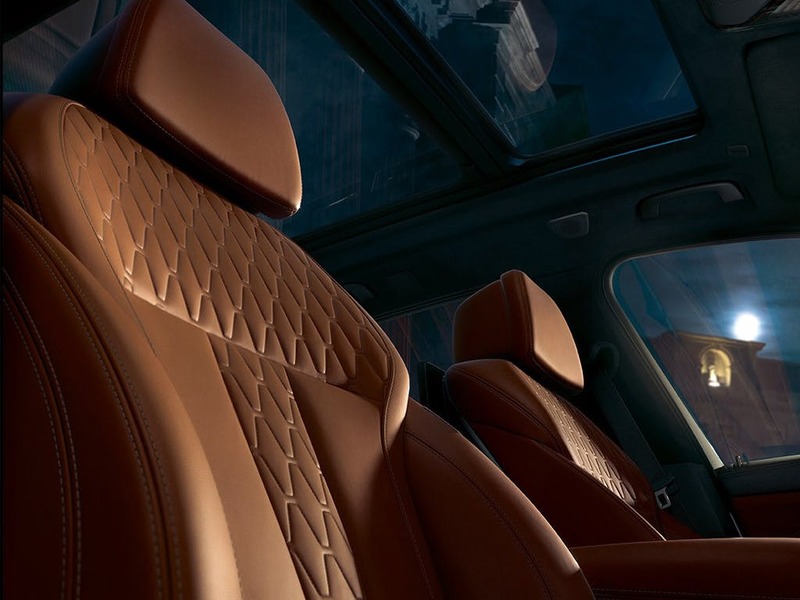 Every detail matters, view the BMW X5 technical specification. 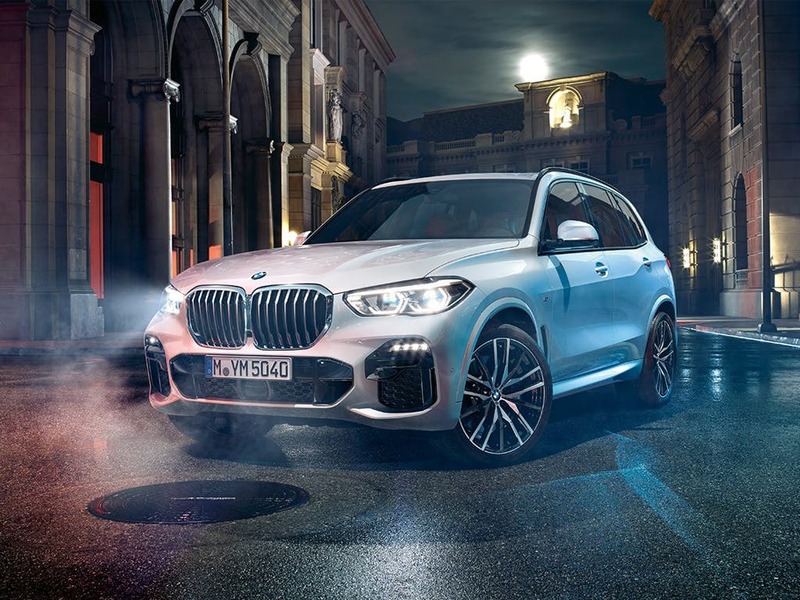 Download the latest X5 brochure. No shourtcuts are taken on this road to luxury with Vernasca leather upholstery on the interior, with an optional upgrade to the high-quality Merino leather. 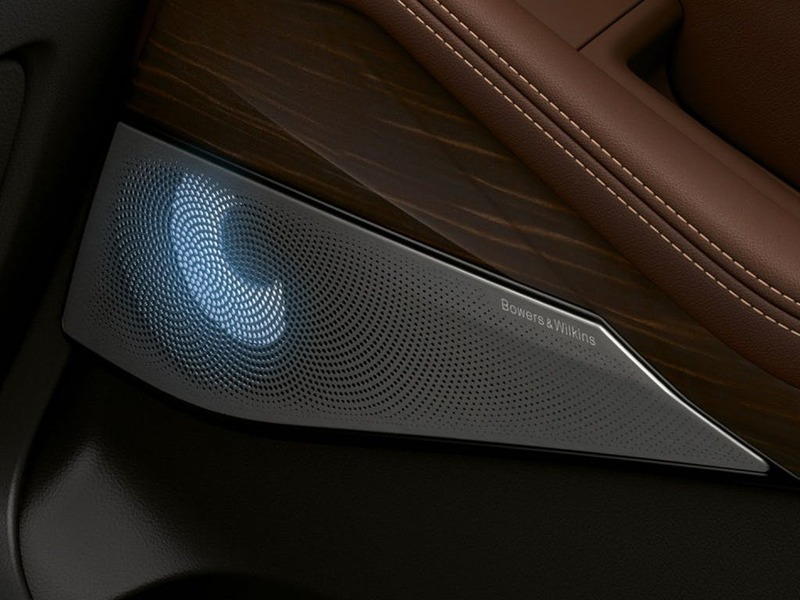 Turn the inside of the car into a cinema with the rear touch screen premium entertainment system, Bowers & Wilkins stereo system and a full sensory experience thanks to Ambient Air, offering four natural fragrances. Cupholders with the ability to cool or warm your drink as you please are added on the inside, ramping up the plush level. Space is never a problem, with a Sky Lounge made from a panoramic glass roof, making the car appear more spacious and filled with sun, and an optional third row of seats. 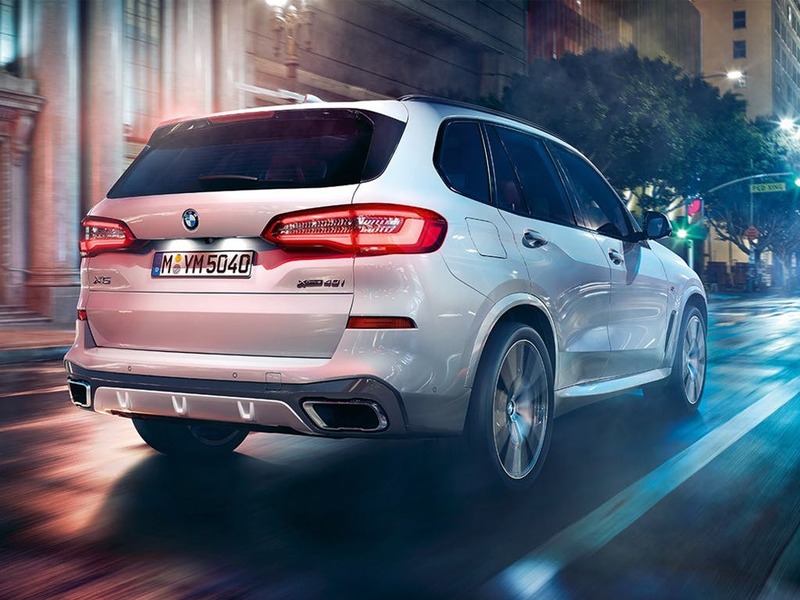 Stand-out driving the X5. The roofline is elegant with a mix of grandeur and sportiness, as well as the crease line appearing as a dynamic S line, giving the car a more premium image. Wide wheel arches were added to increase the cars landscape ability, as well as the sum-guard under-body protection as part of the xOffroad package. Performance for off-road and on-road is accentuated and improved through additional exterior trim pieces, which are finished in eye-catching chrome or a deep gloss black. With the electric split tailgate feature, the X5 can carry a 640 litre boat or a car of similar size, making it useful in many situations. A six-cylinder petrol engine that can deliver 340hp – what more could you want? 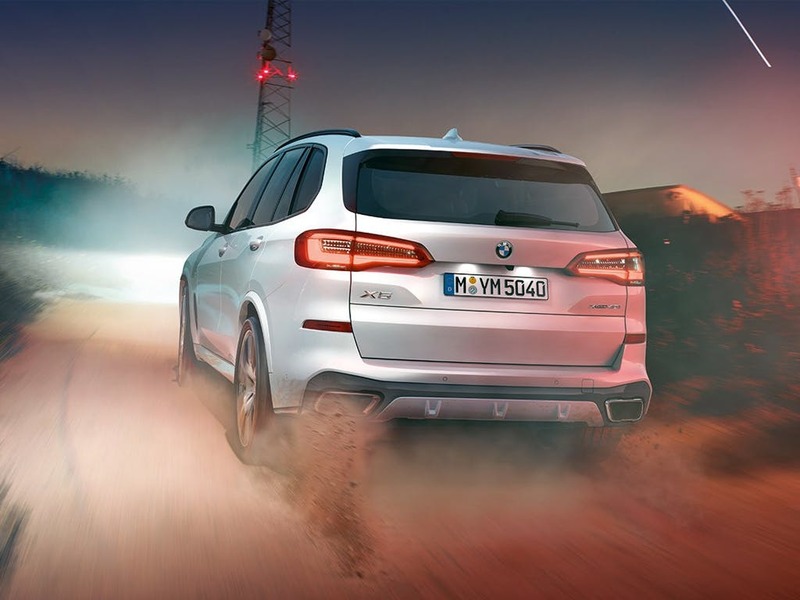 Mix the luxury of this SUV with raw power with the ability of 0 to 62mph in just 6.5 seconds, as well as four driving modes tailored to sand, rock and gravel with the xDrive four-wheel drive system standard. 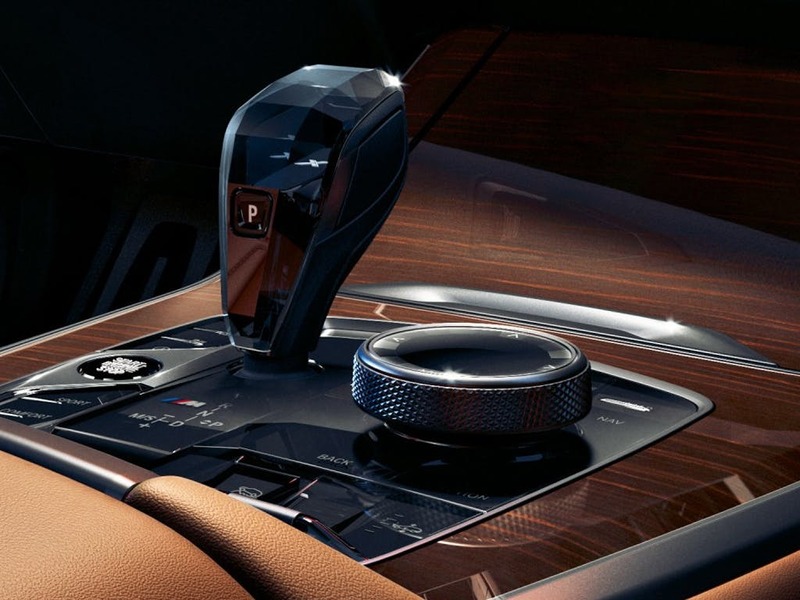 The eight-speed automatic gearbox allows an easier, more transitional drive on any surface when combined with the X5’s off-road capabilities. 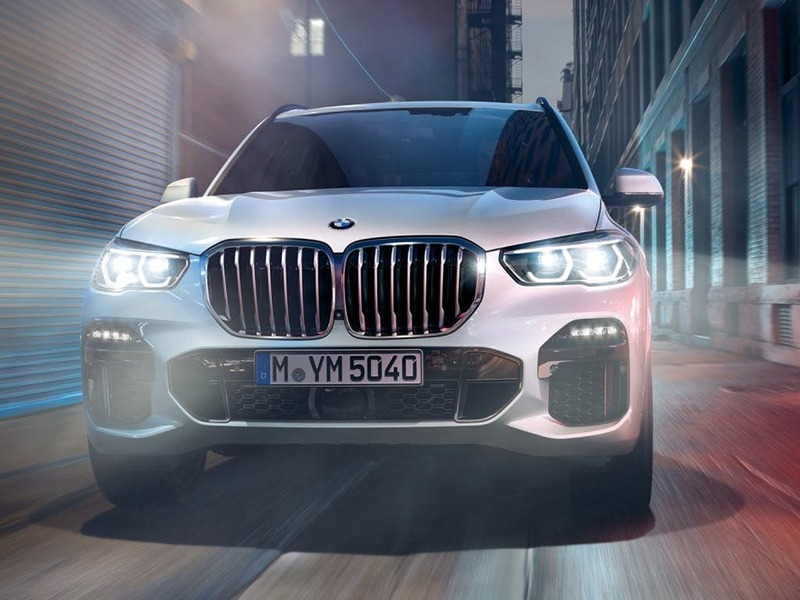 Go further and faster with the xDrive40i engine, a combination of the xDrive all-wheel drive traction and the BMW TwinPower Turbo-engine. This Ultimate Driving Machine is much more than it was before, more intuitive, more luxurious with no budgets. 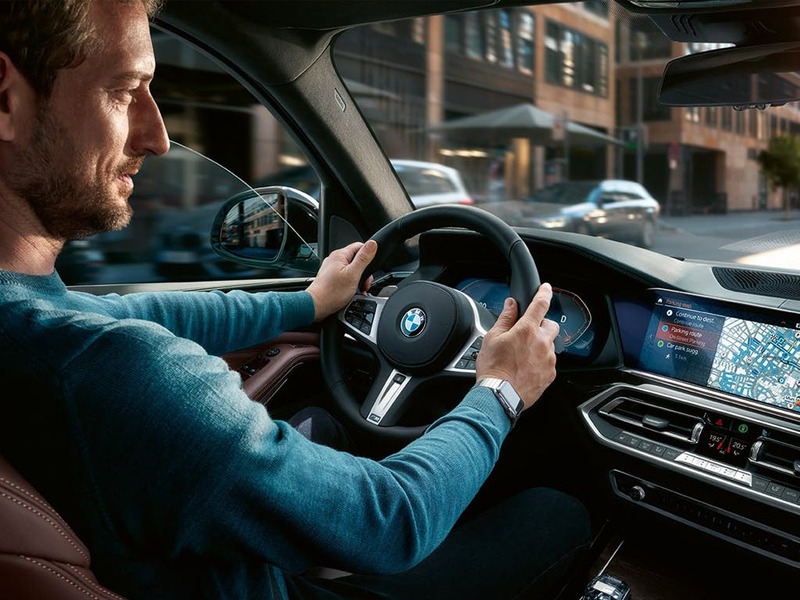 Control your iDrive module 12.3” screen with the clickwheel, touch, your own voice or a simple gesture, at the courtesy of the BMW Operating System 7.0. Connect your smartphone, Apple Watch, Amazon Alexa or Google Home assistant to the iDrive screen for an infotainment centre. Do less work with the Traffic Jam Assist module, allowing it to keep your car in lane during traffic with semi-autonomous steering input, with the added ability of merging into clear lanes when the indicator is held in the desired direction. Don’t worry so much about accidents if you become temporarily incapacitated, as the Emergency Stop Assistant available can pull you into a hard-shoulder in such an event. of Barons And Chandlers BMW customers that bought an BMW X5 would recommend to their friends and family. Chandlers BMW Brighton were really helpful and I'd recommend them because they are very professional. I'd definitely recommend Chandlers BMW Worthing because of the experience I received whilst buying my vehicle. Matt McF, the salesperson was absolutely superb and for that reason alone I would return for my next vehicle even though it is a 4 hour drive from my home. Chandlers BMW Worthing were really helpful and I'd recommend them because, they are very responsive to customers needs, not pushy but informative and very friendly. Joachim Andersen is a very good salesman, very knowledgeable, flexible and doesn't try any of those annoying hard sell tactics like "you need to take this today to get the low rate of finance" or "there are 2 other people looking at this car". He also makes a lovely Cappuccino. Chandlers BMW Worthing were great because they were friendly right from the the receptionist to the salesman Stuart a lot better than my local dealership would use again. The experience at Barons BMW Borehamwood was fantastic because we knee exactly what we wanted which the salesman offered us immediately. Our dealings with him were very friendly and professional because we had a deadline and he delivered on time. Chandlers BMW Hailsham staff were good because worked with me to find an acceptable deal, the vehicle was looking good for pickup, Filip explained and demonstrated equipment within the vehicle and set up media, phone, I drive. I'd recommend Barons BMW Farnborough to a friend because Richard Thorne was very helpful and knowledgeable about the car and all details. He made us feel very comfortable with his service and was very pleasant to deal with on all aspects of the purchase. The experience at Barons BMW Farnborough was fantastic because I was dealt with in a friendly non-pushy professional way. Excellent service from Louis. Barons BMW Watford were helpful because they were very helpful and quick to respond to enquiries.